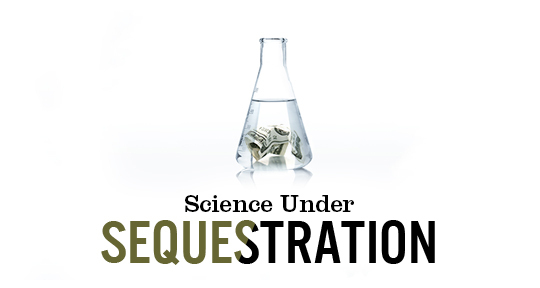 The impacts of the federal budget sequester on scientific progress have not gone unnoticed. This year, the National Institutes of Health (NIH) reported that it had funded 700 fewer research grants and reduced funding across all disciplines by approximately 5 percent. AAAS MemberCentral spoke to Frank Conlon, professor of genetics and adjunct professor of biology at the University of North Carolina at Chapel Hill, about how sequestration has impacted his work. Conlon's lab researches cardiac progenitor cell maintenance and development. They employ both mice and frogs to study the molecular causes of cardiac diseases. AAAS MemberCentral: Can you describe your experiences applying for research grants in this attenuated funding climate? Associate Professor of Genetics and Adjunct Associate Professor of Biology at UNC-Chapel Hill Frank Conlon: I applied for an R21 with a colleague back in September 2012. It was assigned to the Institute of Child Health and Human Development (NICHD) and upon review at study section did very well. It tied for the top score in the study section. It received a priority score of 6 percent. We received fantastic summary statements. When I called for an update on the timeline of funding, almost on a lark, assuming that those top two grants would get funded, the NICHD said they were presently funding only those grants that scored in the top 5 percent or better. I was pretty taken aback. The problem was twofold: It was a good solid score and it also tied for the highest score, meaning that the two top grants had a chance of not being funded. So I thought, "What's the point of the study section?" When you have an outcome like that, it's hard not to think that these study sections are just a waste of resources. Additionally, there's a lot of time invested by the attendees — travel and discussion — for no reason. AAAS MC: What strategies did you use next? Did you eventually get that grant funded? Conlon: I contacted the program officer. He was supportive and extremely helpful. He remained encouraging, saying "Hang in there. Things might get better. We just don't have a budget. Because of the sequester, we simply can't do anything about this right now." He was fantastic but intimated that in this climate, they could not fund those grants. The review process went on and on like this — it went through the same process twice. It went to the scientific review group, to the advisory council, and finally again to the administrative review. Each process took just shy of one year. Now, almost a year since the second submission, I just found out that the two grants that tied were funded. However, throughout the entire process, they told us that the R21 budgets would not be touched, they won't be reduced. But then when we finally got the funding, it was reduced by 5 percent. AAAS MC: Do you have additional grants that ultimately were not successful or have been reduced? Conlon: Yes. All of my grants have been reduced by 5 to 15 percent. AAAS MC: Have you experienced any drastic changes, such as personnel cuts or scrapping entire or part of projects? Conlon: For sure. The students have had to [work as teaching assistants] to subsidize the cuts, which has a number of disadvantages. They only have so many hours of the day available to teach and to do research. That means they're out of the lab a lot, and then productivity and progress suffer. They're also mandated now to apply for whatever funding is out there regardless of how little it is or how competitive they are for it. I'm cutting the lab back because of the budget cuts. I'm cutting the lab, albeit through attrition, by almost a third because I can't depend on future funding. Two graduate students are leaving, as well as a postdoc. I might take one graduate student to replace the two. However, I didn't even let anyone rotate last year, and this year I'm only letting two students rotate. AAAS MC: Have the sequester-induced cuts to research funding impacted the way you plan your research strategies? Conlon: Absolutely. All of my research goals must now include science that you can publish by fewer people and in less time. For me, the new strategy, which is not my way of doing things, has become to apply for as many funding opportunities as I can. I can sum this up with one thought: We used to get paid to do science and now I feel like it's the opposite.